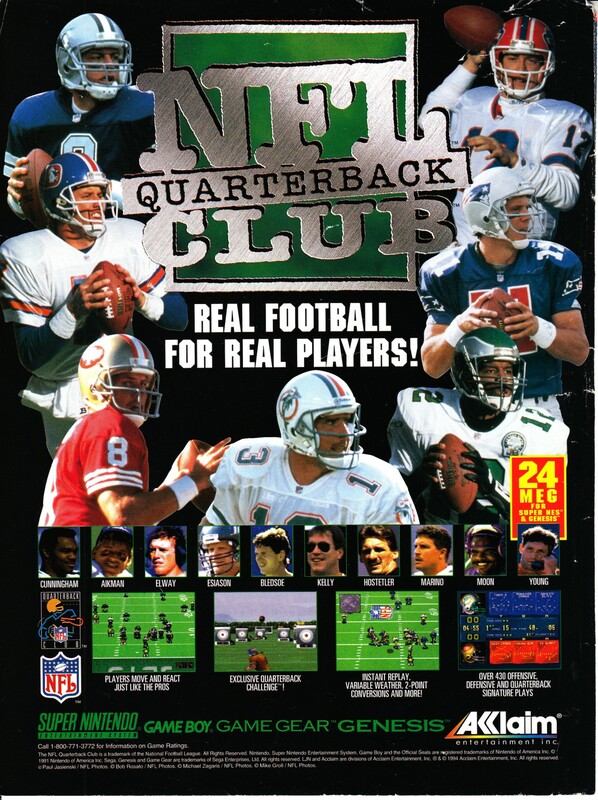 NFL Quarterback Club is part of something lost to the passage of time – non-Madden NFL games. Although this first iteration wasn’t particularly good, NFL Quarterback Club found its feet on the Nintendo 64, where it was a legitimate, and in the case of the 1998 version, maybe even better, competitor to the Madden NFL series. Unfortunately after that, Acclaim’s quality control went out the window and the series pissed away any goodwill.